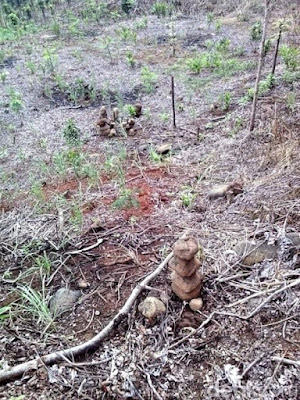 A recent landslide has uncovered a series of sculpted stone artifacts scattered across Ciletuh Geopark in Sukabumi, in the Southern Region of West Java in Indonesia. The stone carvings range in size between 50 cm to 100 cm tall and seem to resemble chess pieces. 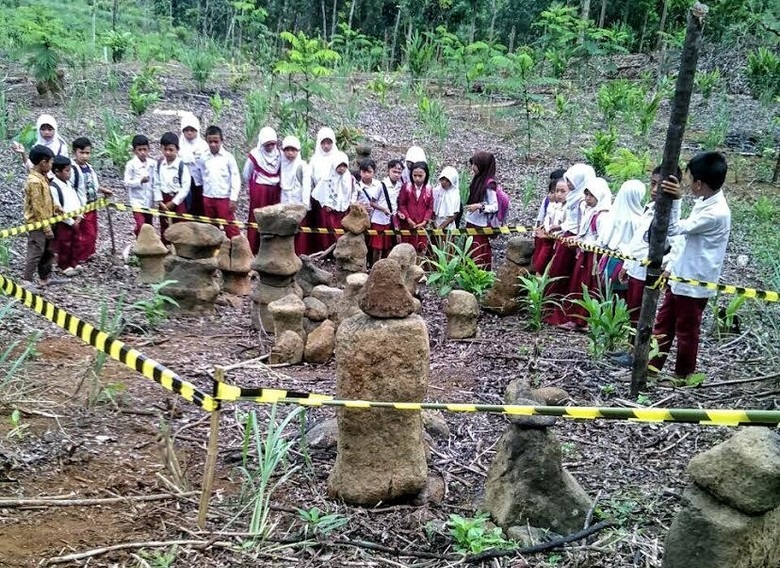 Students gather around "Chess-piece" artifacts in Ciletuh Geopark, Sukabumi. Source. According to Ahmad Riyadi, Head of Tourism, Culture, Youth & Sports in Sukabumi, the collection of stone pieces have similar shapes to typical chess pieces, such as the bishop, knights, pawns and rooks. 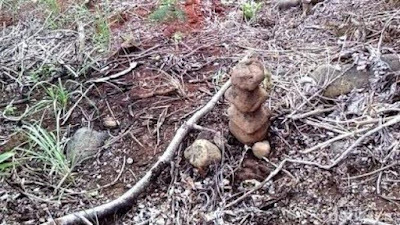 After seeing photos of the “chess piece artifacts,” Senior Prehistoric Researcher, Balar Bandung Lutfi Yondri, commented that the stone sculptures are not actually chess pieces. Lutfi concluded by urging involved parties and institutions to take action and ensure the artifacts are researched thoroughly and preserved. Archaeologist, UI Ali Akbar has two views of the strange chess piece rocks. According to Ali, it is clear that the stones have been intentionally sculpted into specific shapes. Ali believes that the findings were unlikely to be of prehistoric age, but may be from an early Islamic period. He explains that these rocks resemble a fence or guardrail of an important building, such as an educational building, religious building, or house of an important figure. Buildings from this time period would have been made of bamboo, or other materials that are easily destroyed with age. 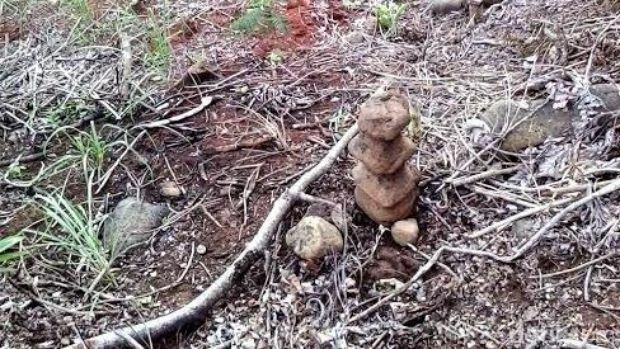 Local residents and tourists have flocked to the area to observe these unique cultural artifacts. 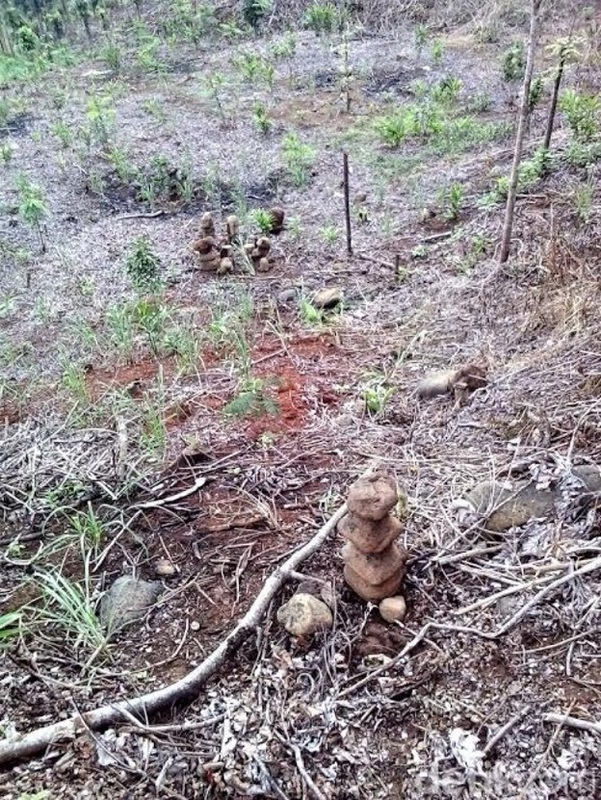 Others have been searching the surrounding areas in hopes of finding more of these mysterious chess pieces. 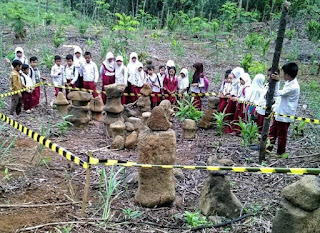 One of the self-proclaimed relic hunters believes he has found more pieces to add to the Ciletuh Geopark puzzle. Whether these stones belong to the Hindu-Buddhist era, the Islamic Period, or a Prehistoric Age, one thing is certain. The artifacts contain important data that must be studied, researched, and protected. Unfortunately, this is not the case. As the artifacts are not currently protected, many of them have been taken home or stolen. If the area is not preserved, they will likely fall into the hands of Antique Collectors.